Magic Carpet Cleaning uses different techniques to get your carpets clean. The most common is steam cleaning also called hot water extraction. We also utilise dry carpet treatment for quick and light cleaning. Our expert carpet cleaners are certified and well-trained to work with the best methods, latest tools and machines and safe cleaning products. Just give us a call on 020 8861 0979 today and you can be sure your carpet will be cleaned to the highest industry standards. We also provide professional upholstery and rug cleaning and stain removal as well. Why Choose Magic Carpet Cleaning in Oakleigh Park? 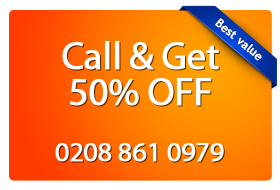 Call Magic Carpet Cleaning in Oakleigh Park N20 on 020 8861 0979 for efficient and quality service. Our support staff is available 24/7 to take your booking and provide you with a free price quote. Don’t hesitate to ask us more about our local carpet cleaners, methods and equipment we use to clean your carpets. We use only non-toxic and safe cleaning agents to remove dirt, dust and other blemishes. You can even book our team on a short notice. Another way to contact us is via our online booking form. Drop us a line with your inquiry and our team will respond in the shortest time possible.